Arctic Monkeys could be set to play at Mad Cool Festival this summer. Thanks to a teaser posted online by the organisers, the Sheffield lads are now rumoured to be a part of Mad Cool’s 2018 line-up. The festival, which will be held at the Valdebebas in IFEMA in Madrid, Spain, starts on July 12, ending on the 14th. So far, the confirmed bands include Kasabian, Queens Of The Stone Age, Tame Impala, Nine Inch Nails, Franz Ferdinand, Justice, Alice In Chains, Massive Attack, MGMT, Pearl Jam and – best of all – Snow Patrol! An Instagram clip posted earlier today by the festival, showed the digits ‘0114’. Any fan of the band will know this is the dialling code for the Monkey’s hometown of Sheffield – it’s usually taped onto Matt Helders’ drum kit. The Arctic Monkeys were recently announced for June’s Firefly Festival, which is based in Delaware – it’s their first confirmed festival appearance of 2018. The Sheffield band have been busy recording their sixth album, which is expected to drop this year and also, they’ve confirmed they’ll be headlining Firefly Festival in June. As well as the festival announcement, the band posted a cryptic video via Instagram Live last week. Fans on Reddit have been busy speculating after one user posted the band’s Instagram video – which has now been deleted – with some people commenting the video shows dates and numbers, which could be geographic coordinates for future shows? 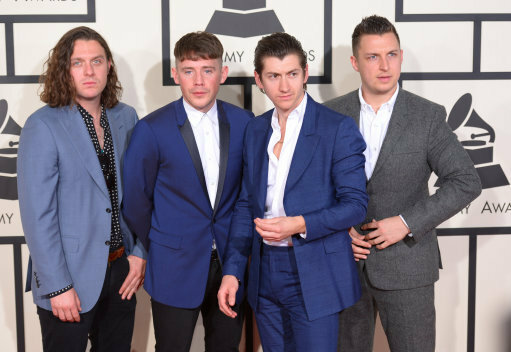 At Firefly, Arctic Monkeys are joined on the impressive line-up by the likes of Eminem, The Killers and Kendrick Lamar. I ain’t buying a ticket, they don’t do major credit cards and I doubt they do receipts. Drummer Matt Helders had previously been reported to have told a fan new material would be coming out later in 2017 – which never ended up happening, but O’Malley however said the album would come out in 2018.